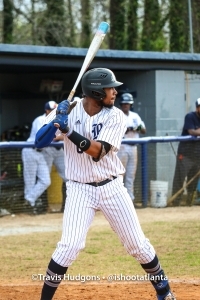 Region champions Tucker and Arabia Mountain lead the march of 10 DeKalb County baseball teams opening first round, best-of-three high school playoff series on Friday. Playoffs were scheduled to begin today (Thursday), but heavy rains due in around noon time are causing most to move the starts back a day. The Tigers (17-11), the Region 4-6A champs, are one of three Class 6A teams from DeKalb County including Stephenson (15-11-1) and Dunwoody (14-15) opening play this week. Tucker is set to host Region 3 No. 4 seed Lakeside-Evans (13-11) in the opening doubleheader at 2:00 pm on Friday with the third game, if needed, on Saturday. It is the Tigers fifth consecutive trip to the state playoffs. Junior Miles Bowen leads the Tucker offensive attack with a .384 batting average, 25 RBI and 8 homeruns and senior Wesley Jackson is at .364 with 15 RBI and 8 doubles. Senior Stanford Flowers is 5-1 on the mound with a 2.63 ERA. Stephenson, the Region 4-6A No. 3 seed, travels to Region 3 No. 2 seed Greenbrier (20-7) for a 4:00 pm doubleheader on Friday with the game three if needed on Saturday at 1:00 pm. The Jaguars are led by junior pitcher/infielder Ga’von Wray (8-1, 0.84 ERA, .340 BA, 17 RBI) and freshman Joseph Jackson (.378 BA, 28 RBI and 21 runs scored). Region 7-6A No. 4 seed Dunwoody goes on the road to Winder-Barrow (19-10) for a 4:00 pm doubleheader on Friday. The time has not been set for the, if needed, game on Saturday. The Wildcats are led at the plate by senior Jack Hardin (.400 BA, 24 RBI, 20 runs scored) and Josh Hodgins (.371 BA, 27 runs scored). Junior Jack Caiaccio (5-5, 3.12 ERA) leads the pitching staff. DeKalb has four entries from Region 5-5A led by back-to-back region champs No. 9 ranked Arabia Mountain Rams (20-6) who host Riverwood (13-14) in the first round on Friday at 2:00 pm. The Rams offense is led by senior Corey King who leads the county in hitting at a .586 clip with 39 RBI, 30 runs scored, 9 doubles, 3 triples and 3 homeruns. Senior Jordan Sterling (1.40 ERA, 40 strikeouts, 15 walks) is the leader on the Rams’ pitching staff at 7-1 on the season. Region 5-5A runner-ups Chamblee Bulldogs (22-8) host Maynard Jackson (16-9) on Friday at 1:00 pm with the third game on Saturday at 1:00 pm, if needed. Junior Matthew Welsh leads the Bulldogs swinging the bat at a .431 clip (19 RBIS, 29 runs, 7 doubles) and senior Norman Kelly (.371, 22 RBI, 25 runs) has contributed heavily as well. Senior David Albuquerque (1.29 ERA, 41 strikeouts, 17 walks) is 6-3 on the mound this season to lead the pitchers. Southwest DeKalb (16-8), the No. 3 seed in Region 5-5A, travels to Region 6 No. 2 seed North Springs (15-14) for the Panthers’ first round series on Friday at 5:00 pm. Senior Jeremy Hatchett leads the Panthers into the playoffs as a pitcher (3-3, 3.36 ERA) and hitter (.367, 10 RBI) while junior Kendrick Scott (.404, 12 RBI) heads the teams hitters at the plate. Freshman Narvin Booker (.481, 19 RBIs, 30 runs, 6 doubles) and sophomore Theodore Riddick (.375, 20 RBI, 14 runs, 6 doubles) lead the Lithonia Bulldogs (13-11) and Coach Samuel Marion into the state playoff for the first time since the 2006 season. It is an all Bulldog/DeKalb matchup as Decatur hosts Lithonia on Friday at 4:00 pm with third game, if needed, on Saturday at 12:00 pm. The Lakeside Vikings (14-12) travel into Gwinnett County to face off with Grayson (19-11) in Class 7A first round action on Friday at 4:00 pm. Senior Carlos Hernandez is hitting .500 on the year with 21 RBI to go with 2 homeruns, 2 doubles and 2 triples atop the Vikings’ hitting lineup. Senior Charlie Ludwick joins Hernandez in producing at the plate hitting .407 with 7 doubles and 13 RBI. Senior Jackson Hogan (4.09 ERA) has 46 K’s on the season and only 18 walks to top the Devils’ pitching staff at 5-3. Senior Thomas Weingartner is hitting .434 with 17 RBI, 5 doubles, 2 homers and 1 triple. The No. 8 ranked Redan Raiders (21-7) go on the road to take on No. 1 ranked Ringgold (24-6) in a Georgia Dugout Preview Top 10 matchup on Friday at 5:00 pm with the third game, if necessary, set for 2:00 pm on Saturday. The Raiders have five players hitting .417 or above led by senior Lyndon Weaver (.513, 21 RBI). The others include seniors Taj Bradley (.460, 18 RBI), Kelvin Smith (.456, 6 HR, 19 RBI, 5 doubles, 3 triples), Chayce Bryant (.431, 5 HR, 25 RBI) and Orlando Adams (.417, 5 HR, 32 RBI). Bradley is 4-0 with a 1.08 ERA and sophomore Donye Evans is 4-1 with a 1.50 ERA.